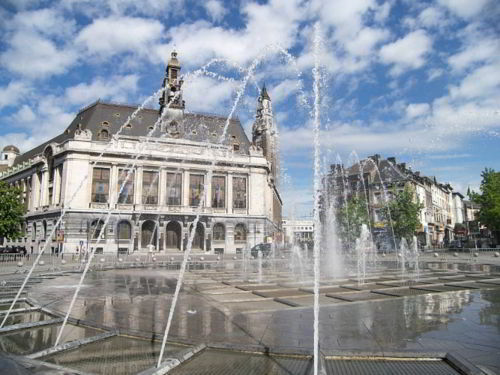 Charleroi was once an important city for Belgium's economy. Today it attracts few tourists every year, yet those who are deeply interested in the history of Belgium, can't bypass Charleroi. It is a pretty little city and the art-deco beauties of the city make it quite a lovely destination to spend a couple of days and explore it. 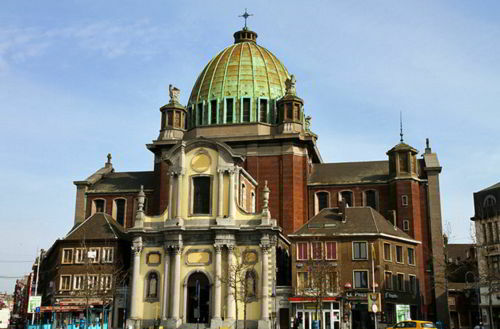 Such destinations as Gare de Charleroi-Sud, Church of St. Christopher, Le Bois du Cazier, Musee de la photographie, the commercial Centre Rive Gauche, La Ruche Theater are fantastic places to start your traveling from. Regarding the popular restaurants of Charleroi, it will be great to have your dinner at Portus Cale, Le Mont-a-Gourmet, Restaurant Au Trou Normand, CHez Dusche. Each of these establishments is a perfect place to enjoy some time on your own and try the delicious local cuisine. Whether your duty or your personal interest drew you to Charleroi, you will surely need a reliable personal means of transportation. 8Rental is ready to become your companion. We are the service you can rely on in any season. It's been years since 8Rental started serving in the industry of passenger transportation and has managed to become one of the most prominent car rentals in entire Europe. Applying to us now, you will have the car you book meeting you right at the Brussels South Charleroi Airport or any railway station. Send us a quote for renting a car with driver in Charleroi and you will explore the city in complete safety and comfort! Hiring a car from 8Rental is so easy and time-saving! You will be required to state your route details such as the pickup address and destination and the trip details, like the start date and time. The necessary transport details involve the vehicle type and model, as well as the chauffeur language and other additional requirements (if you have any). After all these details are stated, mention your contact details and pay. Your order will proceed in no time! 8Rental is the service you can turn to anytime you need! We are available 24/7 and promise to never let down your expectations! 8Rental included the fuel and insurance in the offer. These are the first bonuses, if becoming our frequent client, you will constantly get discounts! 8Rental offers a large choice of most diverse automobile models by the world-leading brands. Despite their luxurious look, all the cars are rented at quite reasonable prices. Moreover, there are some standard cars offered at quite convenient rates. By booking a Skoda Octavia, a Toyota Camry or any other similar car model, it will not affect your budget considerably but you will have the chance to drive in Charleroi comfortably. All the cars in this series are equipped with climate control, premium cabin upholstery, safety system, etc. Hire a car with a driver in Charleroi to understand what it means to be transported in royal comfort! However, in case you want to indulge yourself with some luxurious means of transport, 8Rental will be happy to offer you the BMW 7, Mercedes S class or Audi A8 cars. All these and other luxury models feature premium comfort amenities, which you will be pleased to experience. Our clients can also order some extra luxury features such as a TV, a minibar, leather upholstery and wooden trimming. The selection is yours, the guarantee is ours! Knowing there is a credible driver behind a premium car, waiting for you outside the hotel to deliver whenever you needed, is a pledge for an enjoyable traveling in any foreign city. Working with exceptionally experienced drivers, 8Rental can give you a safety guarantee. We rely on our drivers and their professionalism and encourage you to do the same. 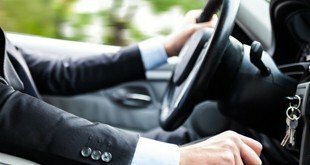 Besides a valid driving license and many years of experience, our chauffeurs feature a great sense of responsibility. Therefore, if you really need a credible, responsible and 100% professional drivers, no need to look further! By hiring a car from 8Rental, you will be provided with a great and comfortable car and a skillful driver!